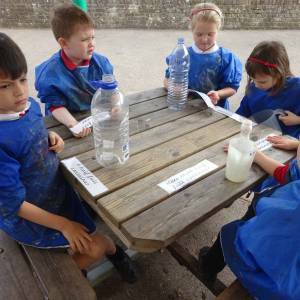 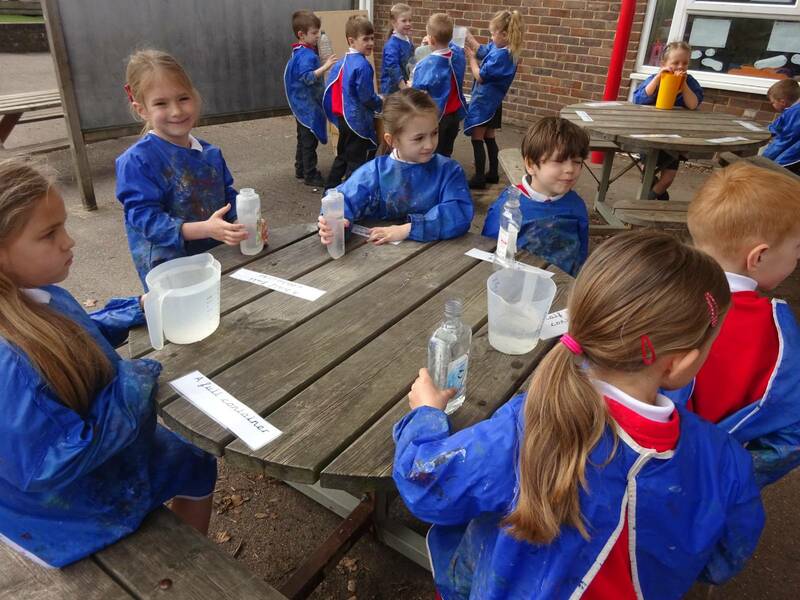 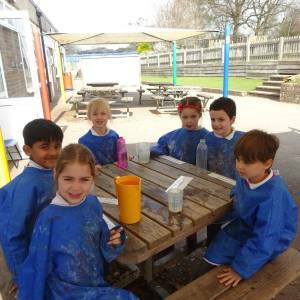 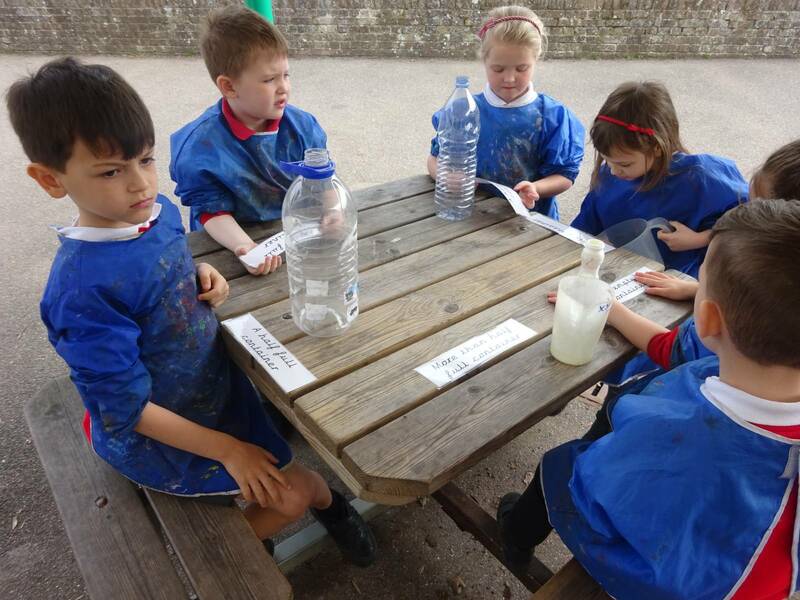 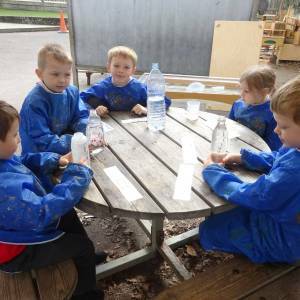 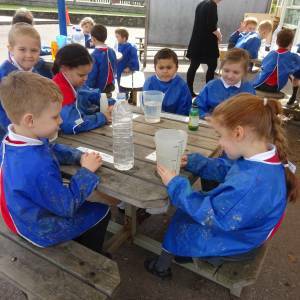 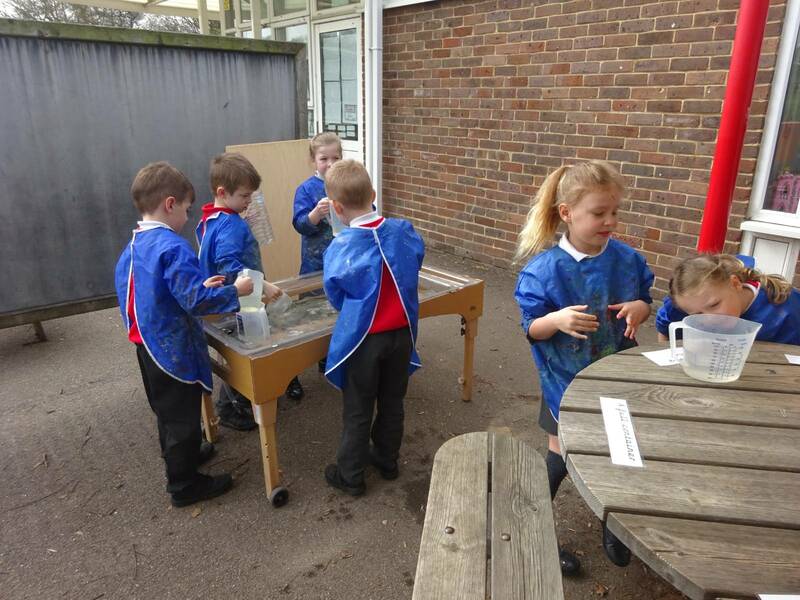 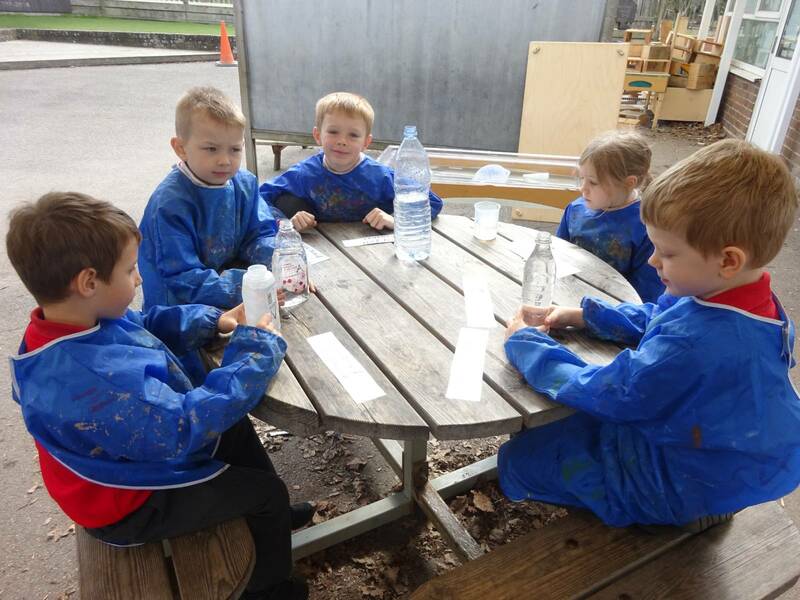 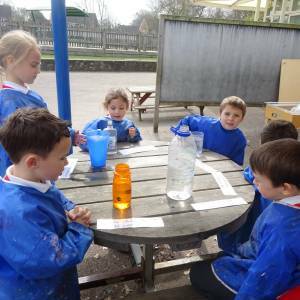 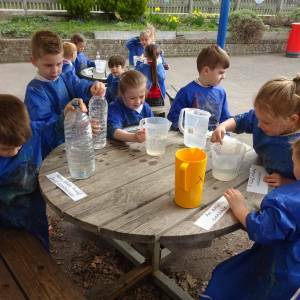 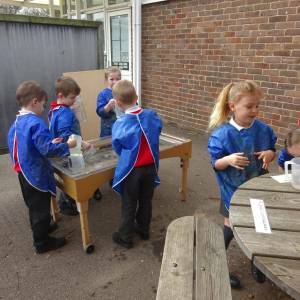 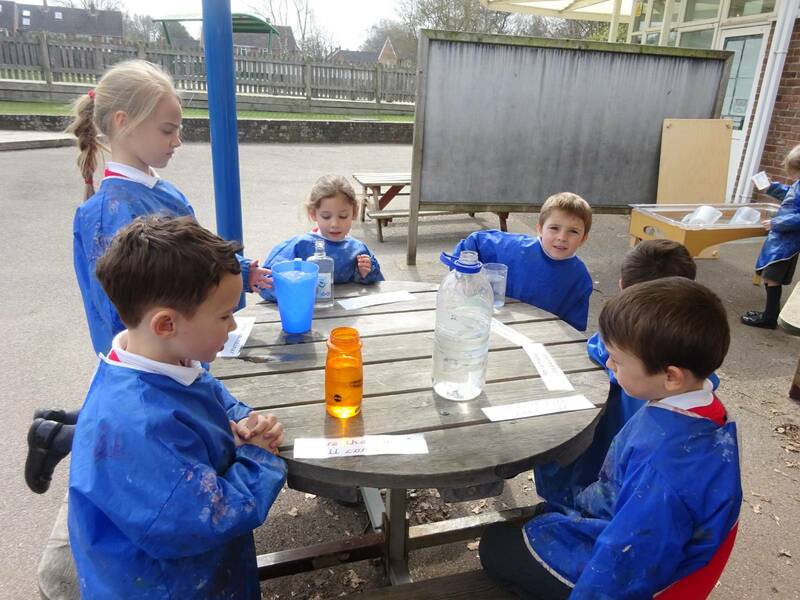 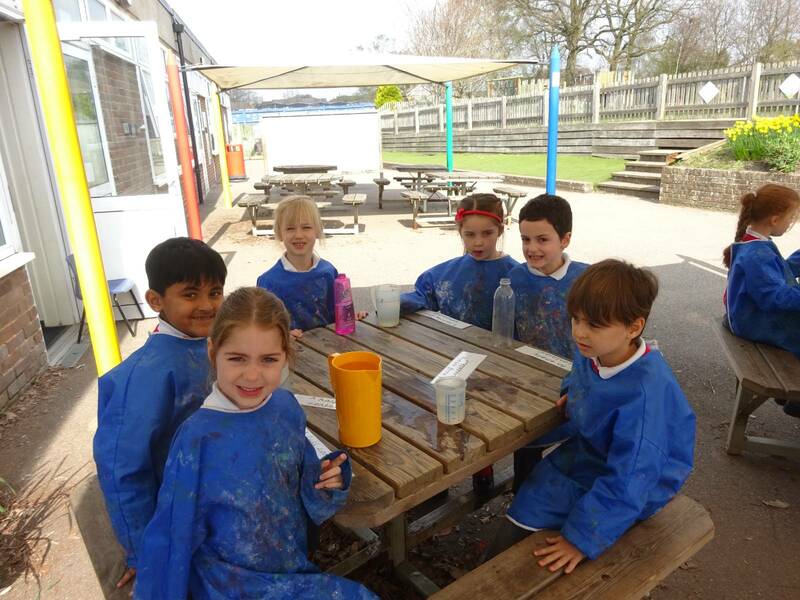 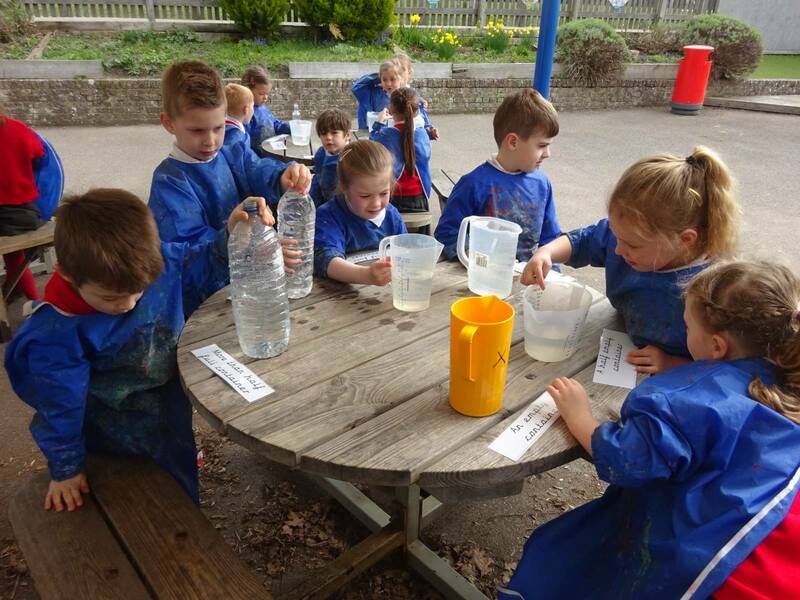 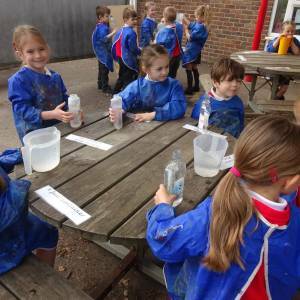 We have started investigating capacity in maths this week and have had lots of fun filling containers with water to measure. 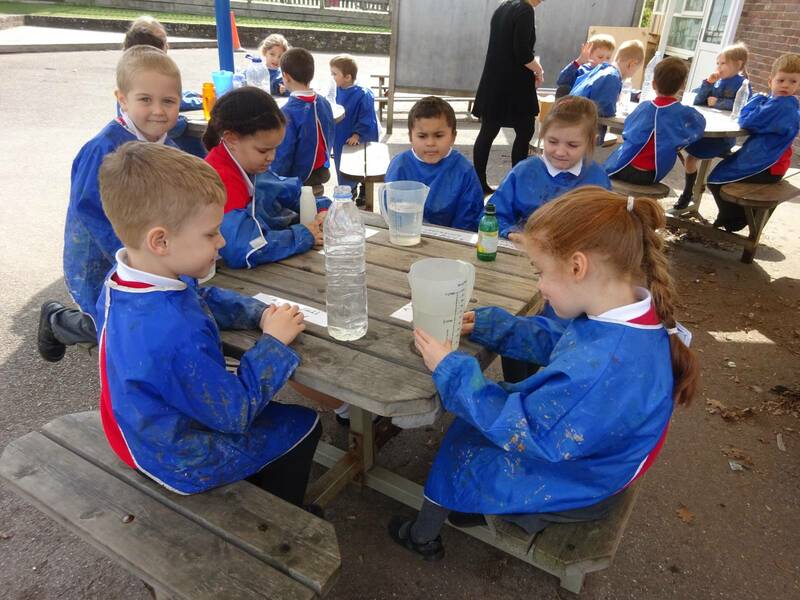 We have described our findings using maths terms such as “half full/empty”, “more than/less than”, “most” and “least”. 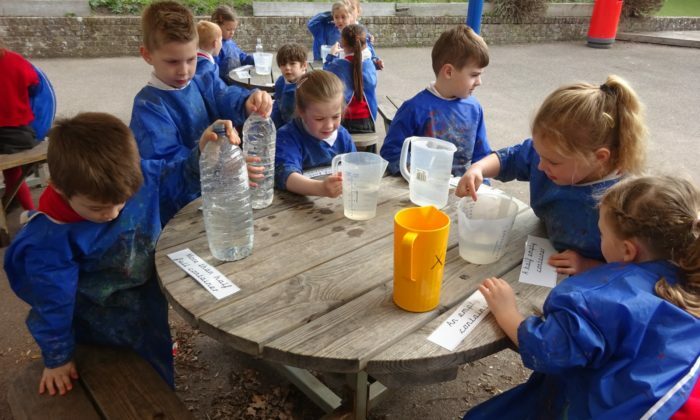 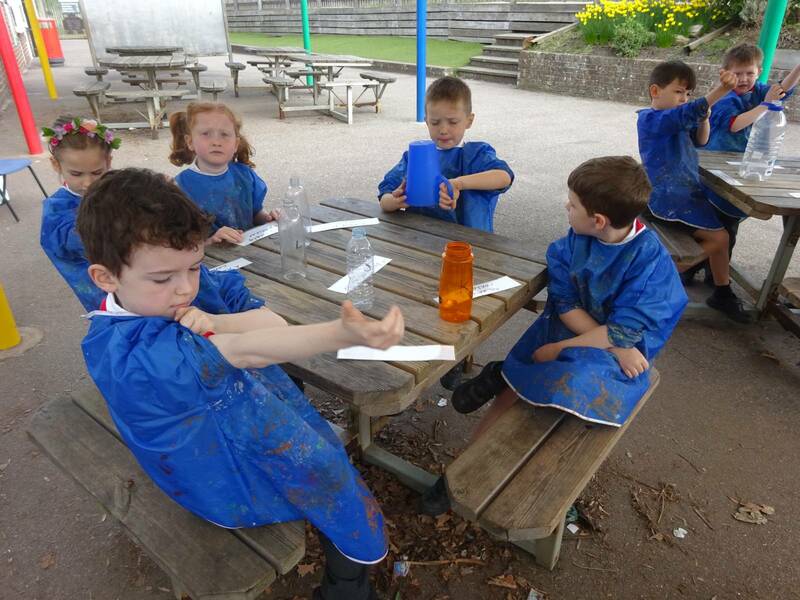 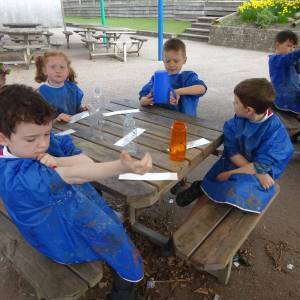 Why not get out in the gardens this weekend, explore capacity using water and see how many maths phrases you can use to explain what you discover.